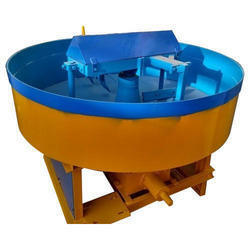 We are a manufacturer and exporter of Double pan mixer 500kg capacity. For ABMH-8SPDX model machines. We offer quality Base Mixtures. Our Base Mixtures are offered with power of 7.5 H.P with the carrying capacity of 200 kg. These find wide application in construction industry. We can also customize these as per the specifications detailed by our clients. The Colour Mixer Machine offered by us has 100 kg of carrying capacity with Drum size of 700 H x 300 D mm. Equipped with 3 H.P 3 Phase Motor. 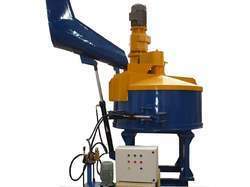 We offer these Mixture Machines in standard and customized options as per the specifications detailed by our clients. We offer precision engineered Concrete Planetary Machines, which are basically a mixing assembly where the agitation pattern is of Planetary nature. The beater assembly in these machines rotates around itself and travels in a circle in the bowl, thereby achieving intimate mixing. These Concrete Planetary Machines are appreciated for their easy operation, low maintenance, longer service life and durability. We also customize these as per the specifications detailed by our clients. 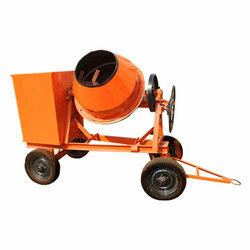 We are offering quality concrete mixer machines that are designed as per the international standards. 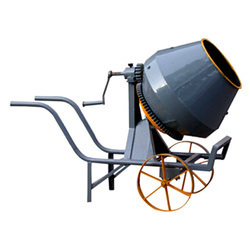 These concrete mixer machines are available in different capacities as per the requirements of our clients. We use high grade of raw material and latest technology in fabricating our concrete mixers. 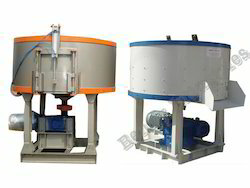 We are offering wide range of 360 Degree Mixer Machien. Looking for Industrial Pan Mixture ?